Batch of 20 Selecon Acclaim Fresnels from 2016. No fixed price – serious offers invited. Including mounts, safety wires and CEE plugs. 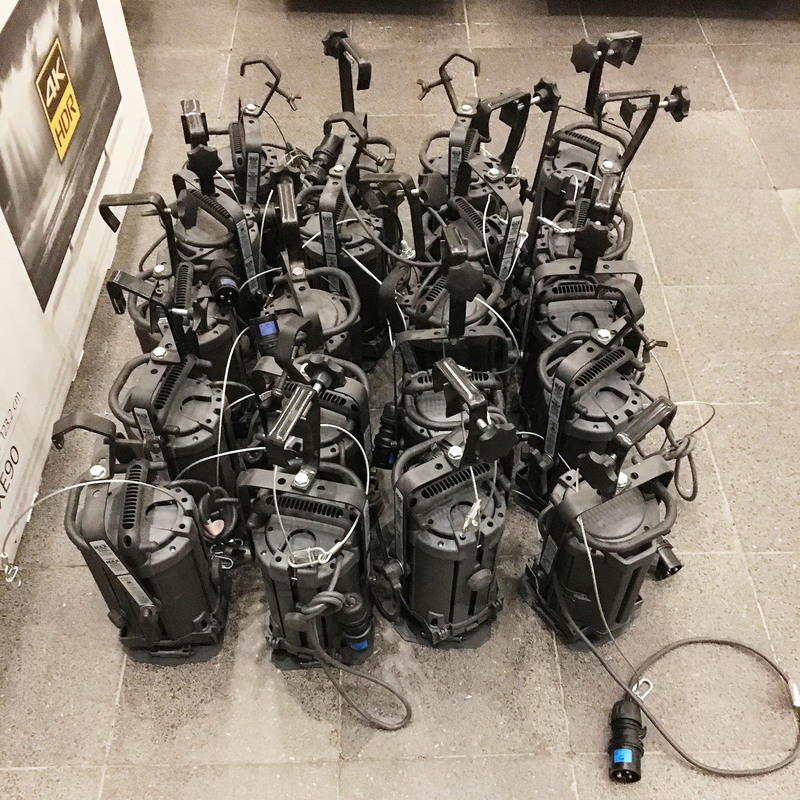 For use with 500W/650W light bulbs. 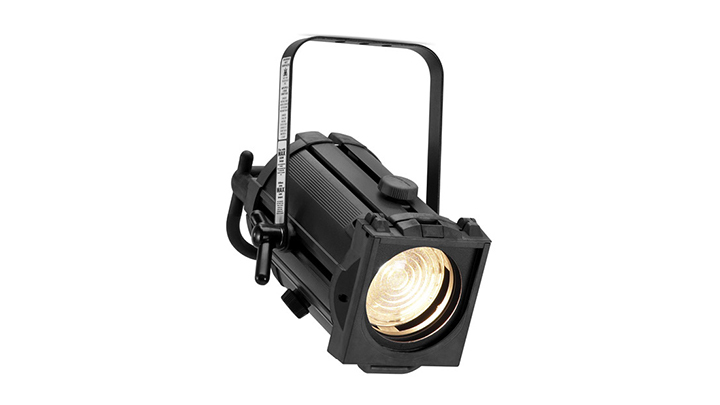 A 6°-60° 500W / 650W general purpose fresnel with a 110mm diameter lens, for theater, small studio and display lighting applications. The fixtures produce an adjustable cone of light with a soft edge that is easily blended with adjacent beams to provide even illumination. Up to 40% more light output than other fresnels. Improved filter life through increased airflow. Cooler focus operation due to the use of engineering plastics on front (color frame mount) and rear. ‘Swing-down’ side door for easy access to lamp or for cleaning. Lamp life is enhanced through judder-free focus action of the captive lamp/reflector assembly which moves on Teflon-coated bearings. Heat-insulated rear grab-handle which doubles as handy storage for the 3ft cable length. Barndoor design, cool to focus maintaining settings through unique hinge tension design. Focusing is fast and safe using the large rear grab-handle, heat protected focus knob and filter holder. Constructed of aluminium extrusion and moulded engineering plastics – robust, dependable, safe and easy to rig. Permanently attached integrated safety cable ensures that this important safety requirement is always on hand. Integral micro-switch provides automatic power disconnection to the fixture when opening to relamp, preventing a student or technician inserting a lamp into an electrically live fixture.